We love working with people who’ve made it their life’s work to help the poorest and most downtrodden among us. Especially when they do it for love instead of money. So we were happy to help when a client asked us to work with Diakonos, a non-profit ministry in Statesville, NC. The original request was to help produce a video, but it turned out the group needed more than that. The non-profit opened in 1988 as Diakonos, but the staff and people they serve call it “Fifth Street.” So there was a disconnect we needed to address in the branding. 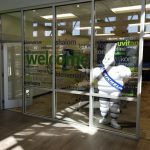 The logo and website were dated, with content and design that hadn’t been refreshed in recent memory, as our clients focused more on operations than marketing. Fortunately, they agreed with our assessment and were open to suggestions. The new brand, website and video launched late in 2018. Stay tuned for feedback from Fifth Street. 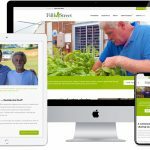 We recommended rebranding the group as “Fifth Street Ministries” and referring to it as “Fifth Street,” to better align the brand with its community. We also updated the logo, combining a clean, classic font with an icon expressing hope and possibility. The website is all-new, with photography we shot on site and new content. Our objective was to position Fifth Street as a fine-tuned operation, where staff and residents worked together to rebuild lives and take advantages of new opportunities. We built the site in WordPress, making it easy for staff to manage and update their content. We also included key metrics, so potential donors and volunteers can understand how far this non-profit can stretch a dollar and all the good that results. Along with our favorite videographer and director, Alex Lacasse at MTN (https://www.wearemtn.com/), we shot the new Fifth Street video over the course of a Sunday afternoon and Monday morning, which is typical of the way we work (shooting marketing videos in editorial-style conditions). 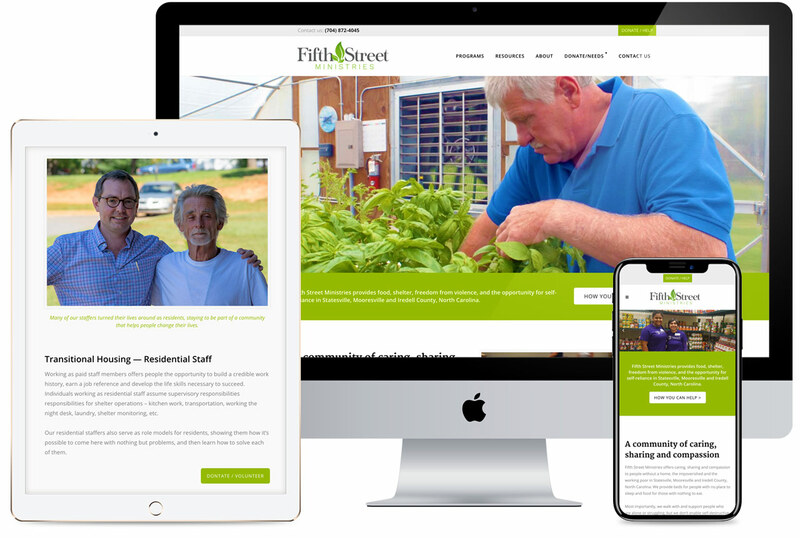 Our objective was to position Fifth Street as a fine-tuned operation, where staff and residents work together to rebuild lives and take advantages of new opportunities.